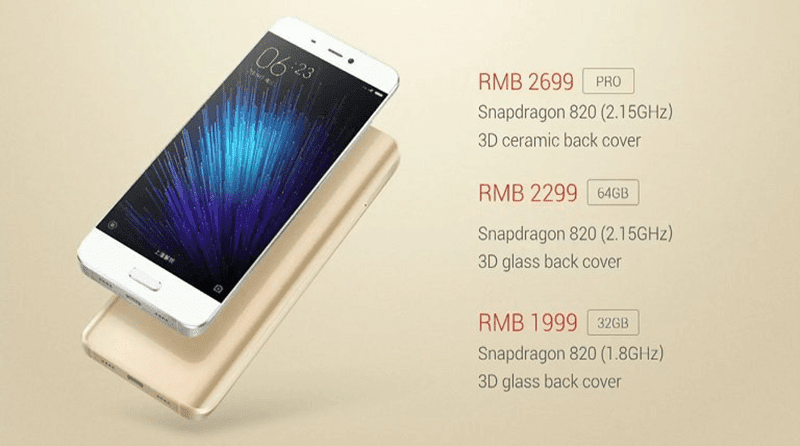 Xiaomi Mi5 Launched! The Most Powerful In The World Today? 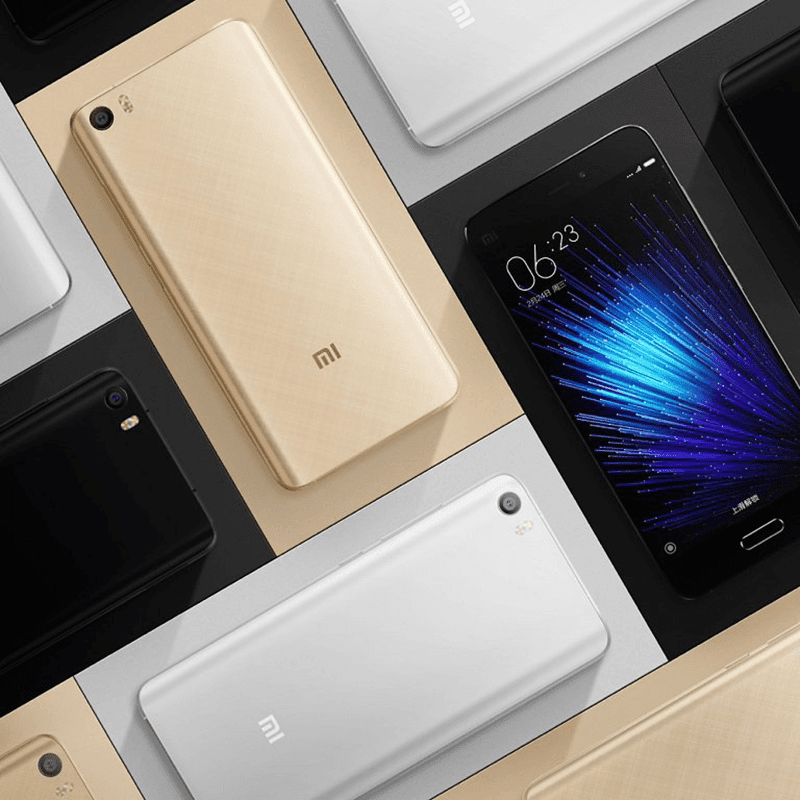 Home / mobile / news / xiaomi / Xiaomi Mi5 Launched! The Most Powerful In The World Today? Going full throttle! That's what Xiaomi did in announcing the Xiaomi Mi5, their latest flagship handset with more than 1.5 years in the making. Looking at what the phone can offer, it features a design pattern coming from the Mi Note with a 3D curved edge glass, ceramic back made from microcrystalline nano-ceramic zirconia and to be confirmed if really metal frame. It features an unusual 5.15 inch FHD screen that has the latest and beastly Snapdragon 820 quad core processor with 1.8 to 2.15 GHz clock speed! You'll also get either 3 GB or 4G GB LPDDR RAM, up to 128 GB internal storage and 3,000 mAh of battery with quick charge 3.0 support. It also boast a 16 MP Sony IMX298 rear camera with PDAF and 4 axis optical image stabilization without the camera hump. In front you'll have a pretty large 8 MP shooter. This phone is also complete with connectivity options like the LTE Cat 12 w/ VoLTE support, WiFi ac, NFC, IR Blaster and USB Type C.
The Mi5 also has a fingerprint sensor and runs on Android 6.0 Marshmallow with MIUI 7 on top. Xiaomi claims that the new Mi5 can reach a benchmark score of over 142K via Antutu. If that's true, this is arguably the most powerful Android phone in the world. That inclusion of just an FHD screen instead of a QHD one help a lot in that sense. The new Mi5 by Xiaomi will starting March 1 in China only for now with the following prices: RMB 1999 or around 14.5K Pesos (3 GB RAM / 32 GB ROM), RMB 2299 or around 16.8K Pesos (3 GB RAM / 64 GB ROM) and RMB 2699 or around 19.7K Pesos (4 GB RAM / 128 GB ROM). Sweet deals! Now let's hope that this will arrive here in the Philippines as well.